In 1906 James Shouldice purchased a 480 acre ranch just west of Calgary in the area that is now the community of Montgomery. Shouldice was a wealthy businessman from Ontario who wanted to try his hand at ranching in Alberta. The fertile open fields of the Calgary area were the perfect place for his dreams to come true. The Shouldice family built a twenty-five room mansion on the top of the hill, overlooking what would become their legacy. Shouldice was a true pioneer. Not only was he was one of the first Albertans to breed Hereford Cattle, but he is the reason the community of Montgomery came into existence. He and his family were the first settlers of present day Montgomery. Their ranch initiated an economic draw to the area. In 1910 they donated 100 acres of land along the Bow River to the City of Calgary, designating it as park space. This brought Calgarians in droves, much like what happened when John Hextall established Bowness Park. The area became known as Shouldice Terrace, named after its founder. The Montgomery Community Association writes, “For many years this community existed as Shouldice Terrace. In 1943, some problems developed with the post office over the name… After a request for a name chance, the Shouldice family chose Montgomery, named after Bernard Law Montgomery of Alamein, a celebrated military leader from Great Britain who played an important role in WW1 and WW2” (A Hunt for History: Montgomery Memories). Montgomery developed into its own little town, complete with stores, services and homes. People were drawn to its small town charm and gorgeous mountain views. By the 1960’s the town had grown as much as it could and had little infrastructure to support its 5,000 residents. 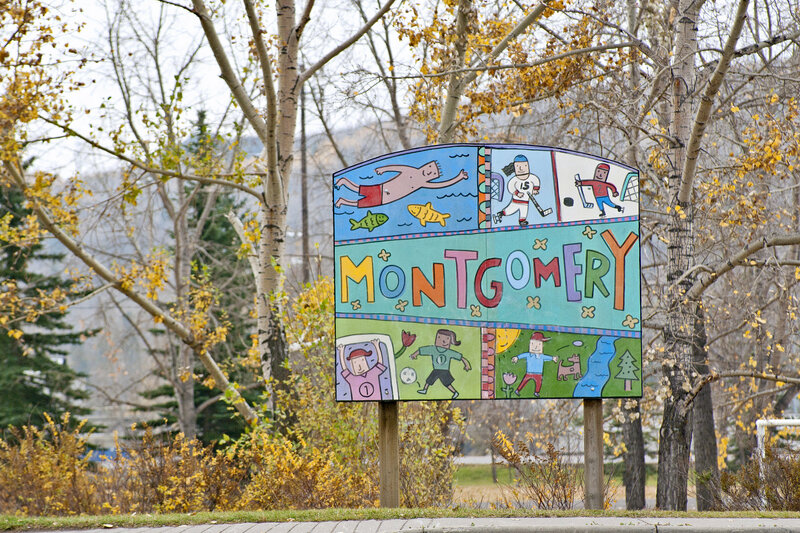 In the end, Montgomery officially became part of Calgary on August 15th, 1963. This small town pride still exists today, marking Montgomery as a distinctly community-focused neighborhood that takes pride in its rich history and seeks to preserve it for generations to come. For more information on the history of the area of Montgomery & Bowness prior to Shouldice and Hextall, please see our Bowness Community Page. Learn all about how this gorgeous land was formed, the indigenous groups that cared for it and the birth of the City of Calgary.